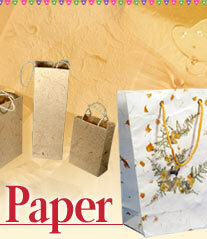 Read about the history and origin of handmade paper in India. 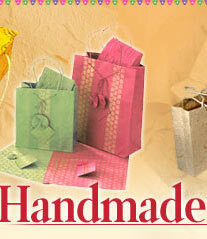 The history of handmade paper in India dates back to the 3rd century BC. Making handmade paper is a traditional art that has been practiced by a particular class of people for generations together. This art has been passed on from one generation of craftsmen to another. These craftsmen are known as "Kagzi's". Their name is derived from the Urdu word 'kavas', which means paper. The size of this community has dwindled over the years. There is a small settlement of 'Kagzi's' in Sanganer near Jaipur, where a section of this community settled thousands of years ago. They claim that they are originally from Turkey and from there moved to China and then finally settled in India. In Sanganer the 'Kagzi' community is the primary owner of the handmade paper industry in the town. Their history goes back to the 14th century when the ruler was Feroze Shah Tughlaq. Even in those days the royalty used handmade paper made by them for official documents, miniature paintings, calligraphy, and to make copies of the Holy Quran and to maintain account books. In the 16th century the then ruler of Amber, Raja Man Singh brought the Kagzis to Sanganer and settled them on the bank of the river Saraswati, where clean water was easily available. 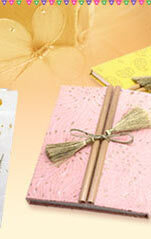 Thus the town emerged as one of the biggest paper producing centers in north India. It is claimed that paper production in this village reached its zenith during the Mughal period. Under the British handmade paper received a serious setback as the British encouraged the import of mill-made paper from the Western countries. By the 1930s there were only a handful of people from this community practicing their traditional trade. At this point Mahatma Gandhi provided them with the much-needed support by buying handmade paper in bulk for his Ashram and other associates. After independence, the Khadi and Village Industries Commission (KVIC) included handmade paper in the list of crafts to be promoted. 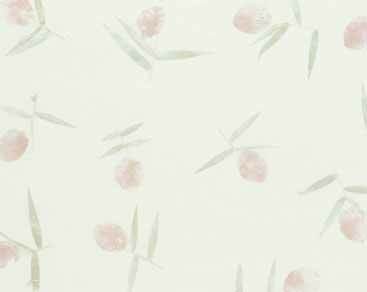 Over the years the handmade paper industry has grown slowly but steadily and is today a major player in the world market, exporting a major portion of its production.